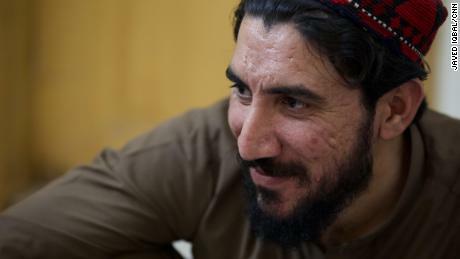 For the last one year, a peaceful non-violent movement, the Pashtun Tahaffuz Movement (PTM) that started in Pakistan’s tribal areas has spread around the country. It was started by young Pashtuns fighting for human rights but has found an echo in all parts of the country. Right from the start, the Pakistani military -intelligence establishment has viewed this movement as anti-national and treasonous. They have banned PTM rallies, arrested its leaders and even placed its Members of National Assembly on the Exit Control List. Yet they have been unable to suppress the popularity of the PTM, its leaderManzoor Pashteen and others including MNAs Ali Wazir and Mohsin Dawar. Just last week a leading PTM activist Alamzeb Mehsud was arrested. 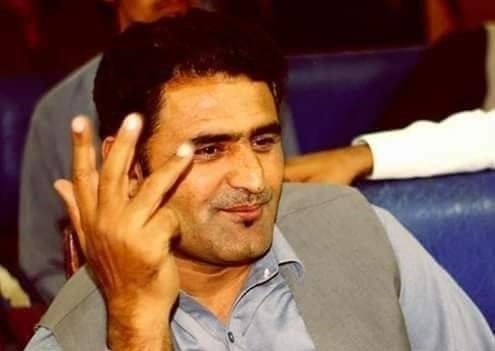 And today, a senior member of the Pashtun Tahafuz Movement (PTM), Arman Luni, was killed in a police crackdown on a sit-in being held in Loralai district of Balochistan. The security establishment is worried that a peaceful non violent movement led by Pashtuns fighting for human rights will find support from other ethnic groups inside Pakistan, namely the Baloch, Muhajirs and Sindhis. For a long time now, the security establishment has hoped that its iron hand will result in the PTM turning violent and then that would be the pretext the military needs to crack down on the movement and its supporters. Despite all its attempts the PTM has refused to turn violent. Is U.S. underestimating Terrorists’ Strength and Malign Intent in Afghanistan? At a time when the US is contemplating military withdrawal from Afghanistan it appears that the US military is underestimating the strength of its opponent. What Does Pakistan Want in Afghanistan? The Pakistani establishment has always believed that Pakistan has the right to decide the government and future of Afghanistan. With the recent decision by the Trump administration to withdraw troops from Afghanistan, the question facing Imran Khan’s Naya Pakistan is: Does Pakistan know what it wants in Afghanistan? It seems that Pakistan’s quarter-century support of the Taliban has left Pakistan with few genuine friends in Afghanistan. Even before the Taliban, Pakistan favored Pashtun fundamentalists as Afghanistan’s rulers after the Soviet withdrawal in 1989. It would be a tragedy if Pakistan uses the U.S. withdrawal as an excuse to instal extremists in power in Afghanistan again. At least the latest talks have led to an end to lies that Pakistan has nothing to do with the Afghan Taliban as the ISI acts as facilitator for American contacts with Taliban leaders enjoying safe haven in Peshawar, Quetta, Karachi, and Rawalpindi. A Naya Pakistan will be created the day Pakistanis acknowledge past mistakes, and move forward. It will not be created by looking back at some mythical past. On October 27, Mr Tahir Khan Dawar, Superintendent of Police (Peshawar), left his house in Islamabad for a walk but never returned till his body was handed over by Afghan authorities to their Pakistani counterparts at Torkham crossing on Thursday November 15. Finally, on Wednesday November 13, news reports broke out about the murder of Mr Dawar inside Afghanistan. “After the news of Mr. Dawar’s death broke out on the evening of 13 November 2018, the Ministry of Foreign Affairs and the Embassy of Pakistan in Kabul immediately contacted Afghan authorities for confirmation of the news and handing over of the body of the deceased to Pakistan. The Ambassador of Pakistan had asked the Afghan government to immediately send the mortal remains foregoing routine formalities.